A team of Bangor Business School students came 2nd at the national final of IBM University Business Challenge, held at IBM’s London HQ earlier on this year. Students worked as board of directors to make critical business decisions showing entrepreneurial skills, creativity and teamwork. Over 200 student teams competed in the nationwide event. A second team from the Business School made it into the semi-finals and were placed 8th overall. The Business School teams were mentored by Dr Siwan Mitchelmore. The IBM Universities Business Challenge is a prestigious andhighly competitive contest.Undergraduates from universities throughout the UK participate in a series of realistic, simulated business scenarios, showing how students can translate academic learning into real-world commercial sense. 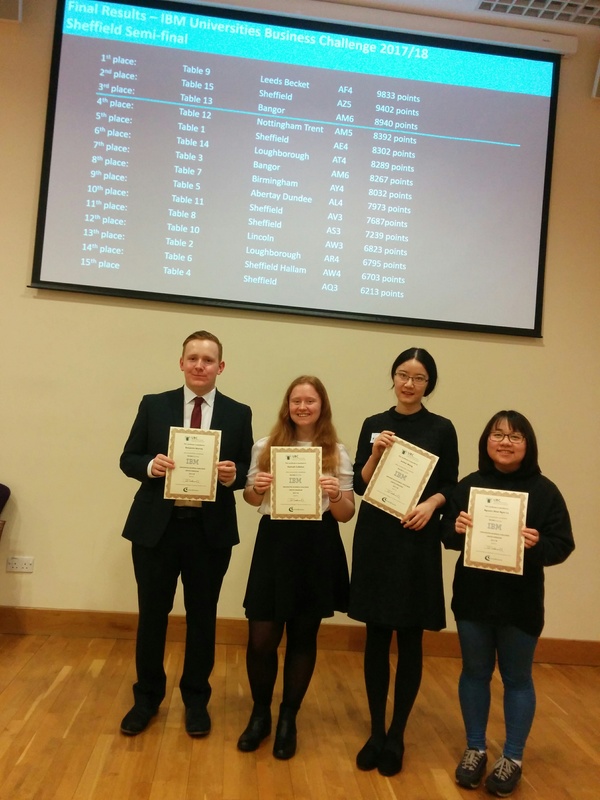 Image: 'IBM 8th’: Simon Gates, Rong Li, Victoria Wiglusz (Team Leader), Sophia Foster, Wenhao Zhang secured 8th place. 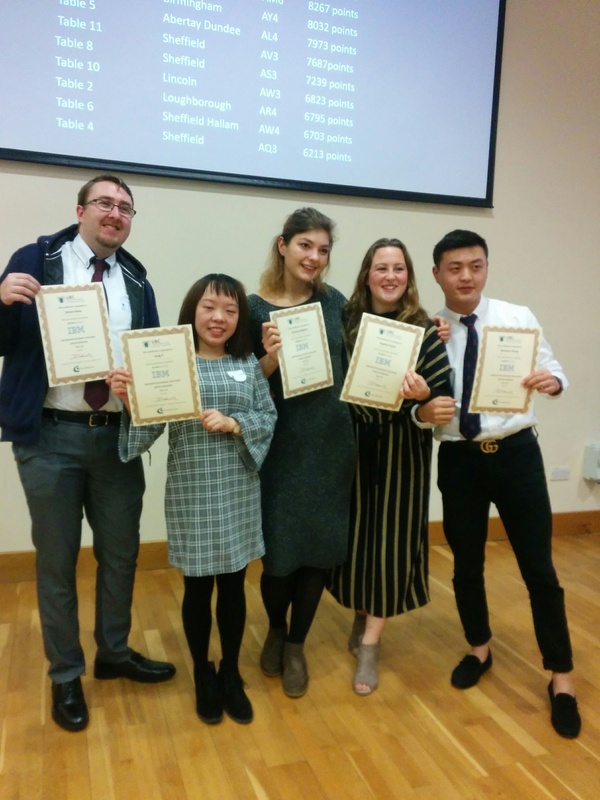 Image: 'IBM winners’ : Benjamin Aaron Murray (Team Leader), Hannah Rose Culleton, Junhui Wang, Nguyen Nhat Ngan Le secured 2nd place.